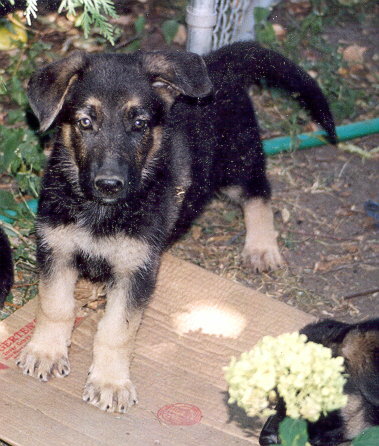 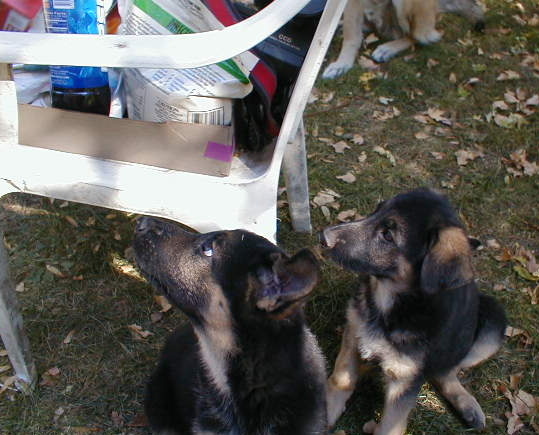 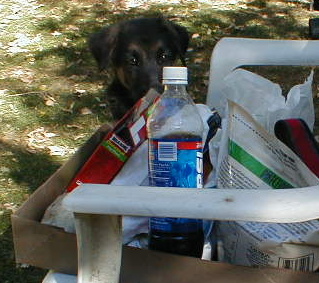 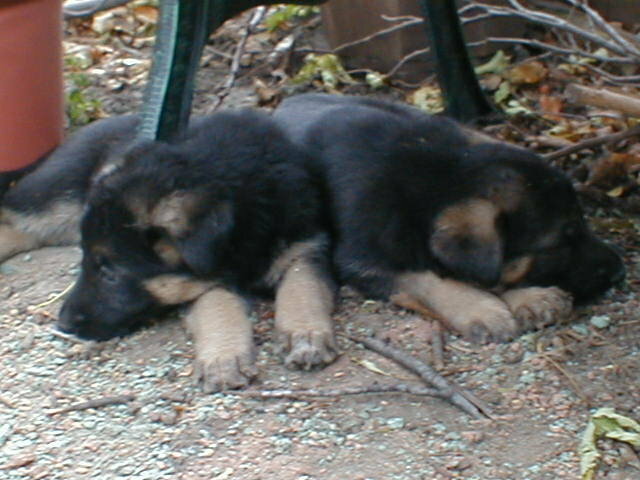 The puppies born August 11, 2000. 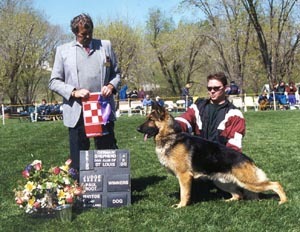 The sire of the puppies Ch Sweetwater's Royal of Saxony (GV Ch Stoneway's Uecker X Saxony's Hey Jude). 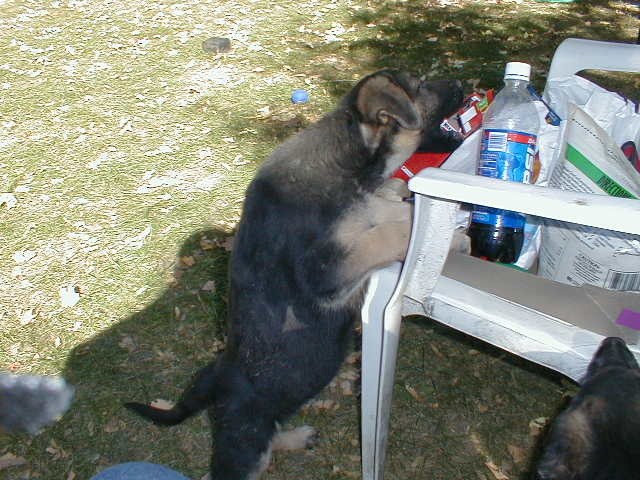 Royal belongs to Robin Miller, Buffalo MN. 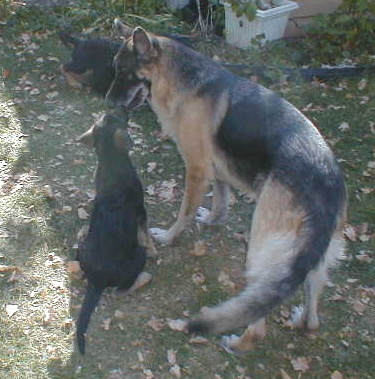 Xena and Gabby at 10 yrs, still pals. 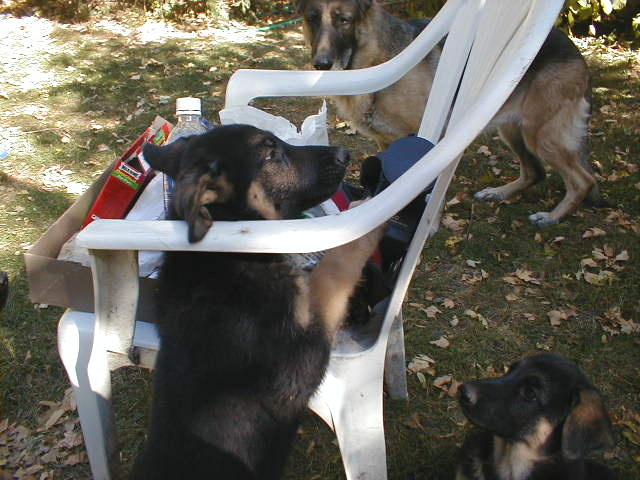 "Let's see do I want the dog treats or that nice bottle of Pepsi"
"I'll try the treats first"
"If Gabby can get the treats, I bet we can too"
"I'm Riot and I claim this piece of cardboard as mine!" 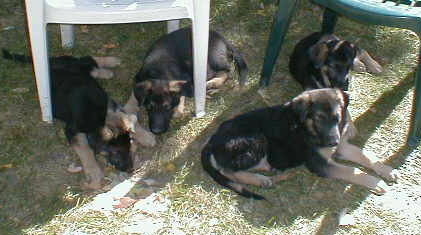 To see the puppies as they grow up click on Pups 9-14 months.